Thirteen years ago KINO, a side project of John Mitchell, released their debut album called Picture and I wrote a raving review about that little “masterpiece”. 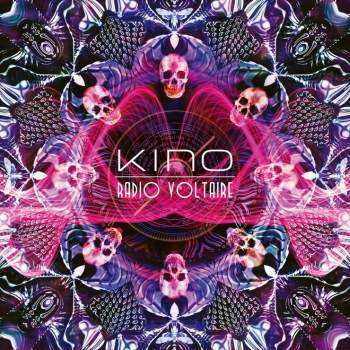 Finally, KINO, consisting of Mitchell (vocals and guitar), Pete Trewavas (bass guitar, synths), new drummer Craig Blundell, who replaced Chris Maitland and special guest John Beck, who also played keyboards on the debut album, release their follow up. The first question everybody wants to be answered is, is the new album worth the wait of thirteen years? I can answer that right away with a definite YES, as Radio Voltaire is again a great album filled with modern style prog rock songs with very addictive choruses, marvellous melodies and breathtaking, melodic guitar solos by Mitchell. Just listen to his more than outstanding solos in the amazing title track or the highly emotional and melodic Idlewild. The latter is one of my favourite tracks on the album and that is mainly due to the outstanding vocals and the highly addictive chorus which you cannot get out of your head for weeks! The first single of Radio Voltaire is a song called The Dead Club which is filled with heavy driving guitars and probably well suited for radio air play. Pete Trewavas and Craig Blundell musically shine in the beautiful track Out Of Time and the last track called The Silent Fighter Pilot ends this truly amazing album almost perfectly.